Cover votes for sports gaming titles have become all the rage as of late. EA SPORTS & 2K Sports have taken advantage of fans wanting to decide who represents the yearly version of their favorite sports title. Today, ESPN’s Sportsnation has detailed all 64 entries into the Madden NFL 25 cover vote. With this being the 25th title in the game’s storied franchise, EA SPORTS will be offering both old-school legends along with current players for the cover. 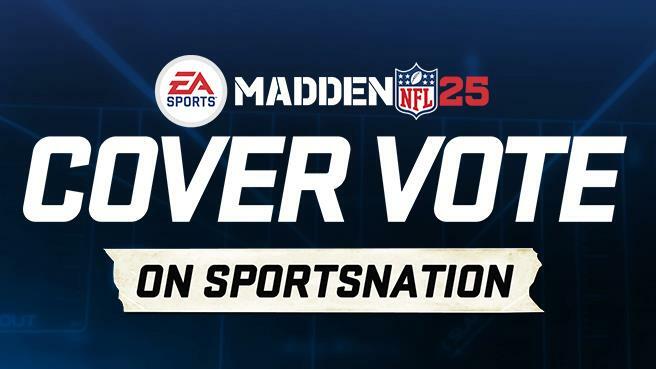 Fans are able to vote on a special site that ESPN has setup for the Madden cover vote which showcases all 32 matchups for this year’s competitors. There’s an incredible amount of tough choices that we’ll see in later rounds giving both the old & new athletes the opportunity to be on the cover. Who are you voting for in the Madden NFL 25 cover vote? Be sure to let us know what you think by leaving us a comment below, or discuss Madden NFL 25 in our forums.